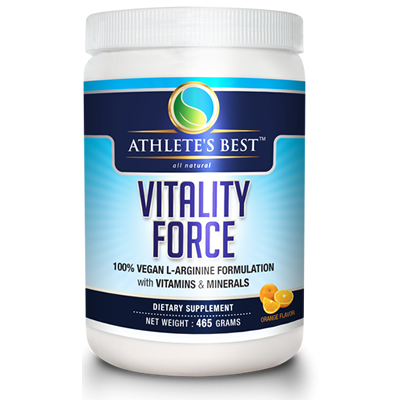 Athlete’s Best™ Vitality Force is a natural nitric oxide booster with five grams of free form l-arginine and loaded with vitamins and minerals specifically formulated to enhance nutrient and oxygen delivery to all cells and tissues. Athlete’s Best Vitality Force™ is a natural nitric oxide booster loaded with vitamins and minerals specifically formulated to enhance nutrient and oxygen delivery to all cells and tissues. Natural health booster that strengthens your heart, lungs, nerves and cells. Increases overall vitamin and nutrient absorption. Increases ATP, or energy production. 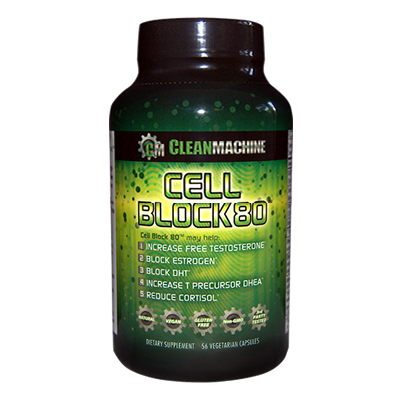 Promotes healthy muscle mass building and reduction of body fat. Improves recovery time by reducing exercise induced lactic acid. Helps regulate blood pressure by dilating the arteries. 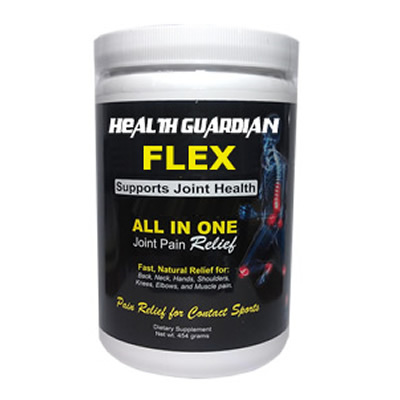 Improves Energy, Strength, Mental Clarity, Stamina, Immune Function, Sexual Performance and Muscle Growth. 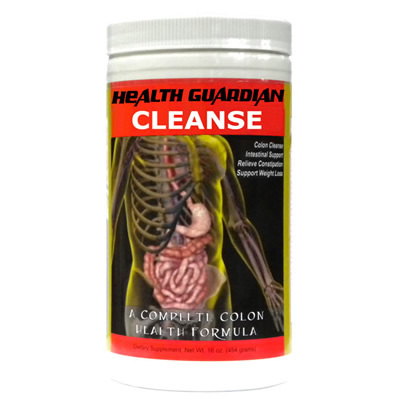 Helps improve overall health, vitality, and wellbeing. The key to the formula is 5 grams of free form arginine. According to the research of Dr. Louis K. Ignarro, the human body needs 5g of arginine, in combination with the other ingredients found in Vitality Force, to take Nitric Oxide levels to the point where it can Reverse the Age of the Cardiovascular System. Dr. Ignarro was awarded the 1998 Nobel Price in Medicine for his research on the Nitric Oxide Pathway. There are over 85,000 medically published clinical studies attesting to the fact that arginine will help lower blood pressure, lower cholesterol and triglycerides, improve diabetes, improve sexual function, reduce blood clots and strokes, improve congestive heart failure, improve wound healing, improve liver and kidney function, improve memory and cognitive functions, increase human growth hormone (HGH), improve muscle growth and performance, and much more. Vitality Force™ is a powerful blend of ingredients that are highly absorbable delivered in a tasty drink mix. It is offered in 16oz containers in orange, grape, and peach flavors. Feel free to mix and match with your order. You simply add one scoop of powder in 4-8oz of water first thing in the morning (can also be taken 2 hours before bed, or even used 15-30 minutes before exercise as a pre-workout drink). Almost 7 million Americans suffer from coronary heart disease, the most common form of heart disease. Regardless of your age or condition, adding Athlete’s Best Vitality Force to your daily regimen will dramatically improve your cardiovascular condition! No other L-arginine supplement compares to Vitality Force™ in price and ingredients. Vitality Force™ utilizes technology that maximizes absorption of nutrients through our unique patent pending processing system. Research suggests that consuming liquid nutritional products provides significantly improved absorption, (80% vs 20% from tablets).